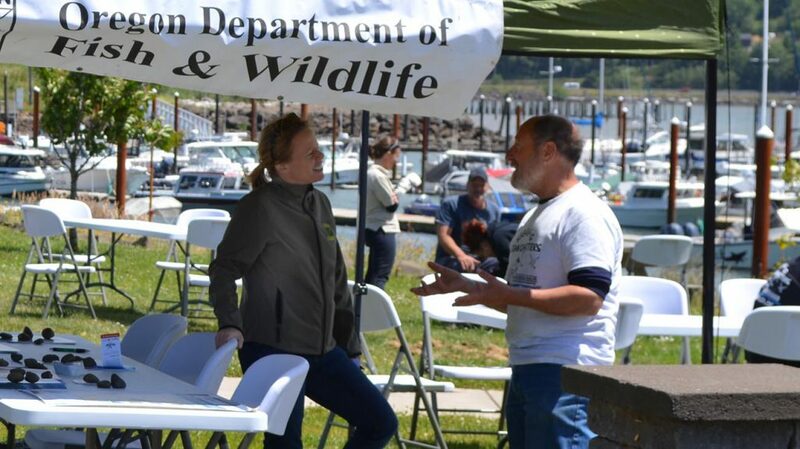 Marine reserves science crosscuts a variety of backgrounds – from oceanographers, to fishermen to community leaders – there are many people who support the research that occurs in Oregon’s Marine Reserves. This series explores the personal and professional journeys of a variety of people involved in advancing marine reserves science. Today, we’re learning about the communications side of marine reserves. 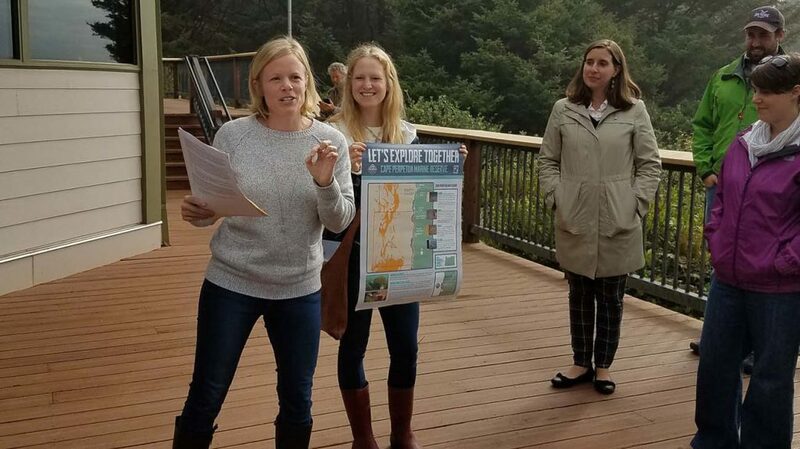 Kelsey Adkisson is the Communications & Engagement Project Leader for the ODFW Marine Reserves Program. 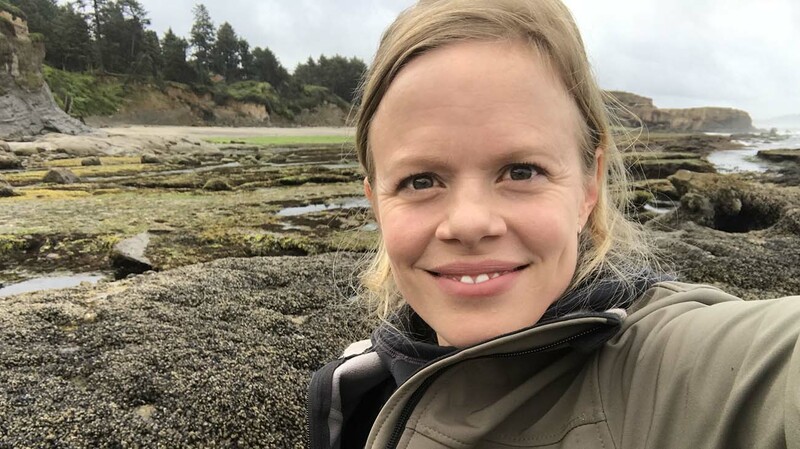 She oversees communications and is responsible for developing strategies to translate complex scientific information to constituents engaged in marine issues. I come from a long line of wheat farmers in eastern Oregon – I would be the 5th generation! I’m incredibly proud of my family’s farming history, but my passion was always centered on biology and the ocean – a far cry from the arid east side. My parents always encouraged my scientific curiosity, and I earned a BS in Environmental Science, followed by a MS in Biology. Both of which added to diverse family dinner conversations about climate change, or republicans vs democrats, or even the pros and cons of government regulations and resource management. These dinner conversations helped me learn differing perspectives on tough issues – where there aren’t always easy solutions. But, you’d be surprised how many people want to work towards the same goal – no matter what background they come from. Science on the Grill in Garibaldi, Oregon. Couple that with a passion for art, design and a splash of photography, and stir. While in graduate school, I realized that that I enjoyed making graphs and figures way more than crunching numbers or writing reports. So, the science visualization side of me had a bit of an awakening. Technically speaking, I do science communications. What that actually means is that I tell stories about science, the people that do it, about creatures of the deep or even how data is used. You could equate that to a translator taking scientific speak and making it understandable to everyone. Data visualization is also a big part of that storytelling. Things like infographics, videos and photos help bring nebulous science topics to life. Ultimately, my goal is to bring people along the scientific journey so they can experience things like sea star surveys, fish research, or get a behind-the-scenes glimpse of science. Tools like Facebook live streams allow me to take people along on survey research. Or, I use Instagram to bring people below the surface. I also enjoy showing off our collaborative efforts, like this blog on fisherman Jeff Miles. People tend to identify and store visual information more easily. Plus, they may get to see cool places that they’d like to visit someday. 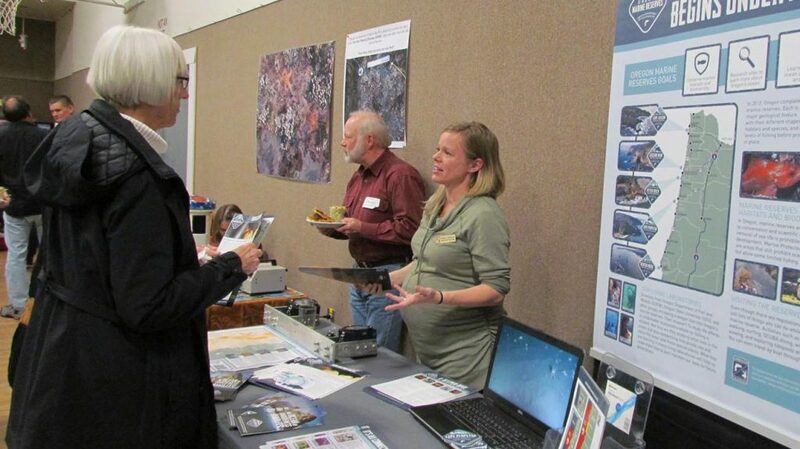 Land-Sea Symposium in Yachats, Oregon. Being a one-person team, means I stay pretty busy so I also do a lot of strategic planning (I know, government jargon. Sorry). In other words, I have to prioritize the biggest communication needs based on the landscape of potential stories to tell. And, then work with researchers to figure out a plan to get those stories told. I want to do a career in Science Communications – How Do I Do That? Awesome. It is an emerging, and I believe, critical field. The good news is that there is a huge need for science communication expertise. But, there’s no one right way to do it. As Atlantic science writer, Ed Yong put it, you are either a science communicator or you are not; there is no aspiring. So, get going – there’s a lot of stumbling and learning along the way. What’s your passion? If it’s writing, try starting a blog or telling stories via social media. 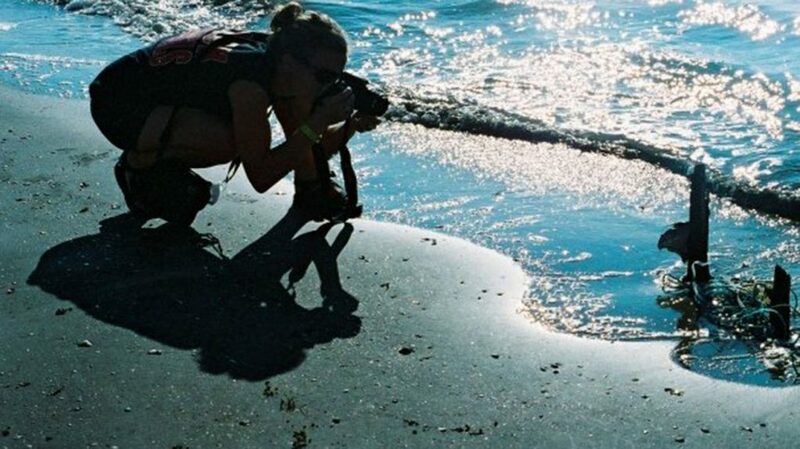 Or if it’s photography – start a website and an Instagram account to show off your work. And most importantly, if you want to be a science communicator, practice you skills talking to scientific people – and really listen to what they have to say. Also, learn from the pros – I learn a ton from communications people that have spent their lives in fields like journalism, video production and graphic design. And, I get story ideas from the bright researchers that surround me. These are the experts. And, they know a ton. Have more questions? Feel free to connect with Kelsey on Twitter (@KelseyAdkisson), via email (Kelsey.L.Adkisson@state.or.us) or on LinkedIn.